July 10, 2014 New York – Fashion One, the premiere fashion, entertainment and lifestyle international broadcaster, puts focus on the major fashion capital cities in a brand new special series. Featuring New York, London, Milan, and Paris delve into the fashion industry’s movers and shakers of today. From the cities' power players to the history behind these fashion empires, get "in the know" with Fashion Capitals. Each month, Fashion Capitals will highlight infamous cities that are synonymous to fashion. Discover the evolution of the cities' fashion industry as well as the revolutionary events that kicked start the organization of the Fashion Weeks. What appeal do these cities have that attracts designers and artisans to settle in? How did the "pioneers of fashion" such as Anna Wintour, Oscar de la Renta, Diane Von Furstenberg, and Tiffany & Co. start and their secret in staying on top in this highly competitive business? "A lot has been covered about the top designers and their collections but only a few take notice on their first inspiration: the city where they first started,” explains executive producer, Ashley Jordan, “With this series, we would like to give our viewers a clear picture and a deeper understanding on the beginnings of modern fashion industry and how it continues to evolve today." For the month of July, Fashion Capitals will kick-off with the city where Fashion Week started, New York. It is the city that never sleeps and where business and fashion strives to exist in a place full of superlatives. What's so important about 5th-9th Avenue that top brands and designers are all settled here? Which designers are certified New Yorkers who made a dynasty of their own in this Empire State? 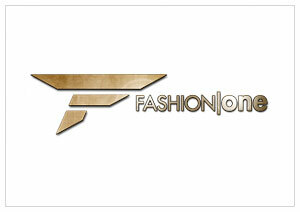 Fashion Capitals: New York premieres on July 30, Wednesday at 21:30 (GMT+8 for Asia / GMT+2 for Europe), exclusively on Fashion One and Fashion One HD. Check your cable operators for your local TV channel listing. Fashion Capitals is a Fashion One monthly special programming series. The show is created by executive producers Michael Gleissner and Ashley Jordan, with Aida Murgia as series producer.